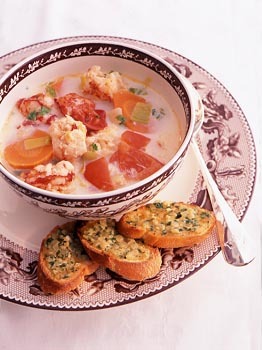 Lobster Stew is a very traditional dish found in many restaurants in Maine. This classic dish is made with lobster, milk, butter, salt, and pepper. 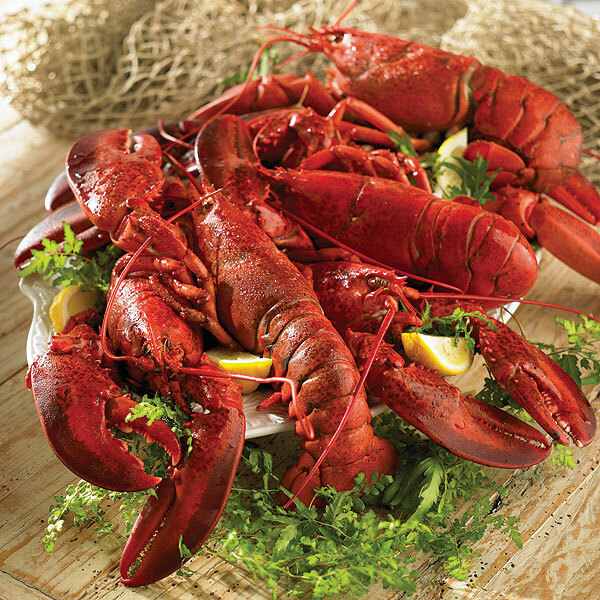 Blanch the lobsters for 4 minutes in a large pot of boiling fresh sea water or salted water. Remove from water, punch a little hole in the top of each head and allow to drain. Break off the claws and the tail. Remove the tomalley from the body and set aside in the refrigerator. Shuck the meat, chop into large bite-size pieces and set aside in the refrigerator. Be sure to remove intestinal tracts from the tails. Place all the shell and bodies in a large saucepan and barely cover with water (about 2 1/2 quarts). Add the onion and bay leaves. Bring to a boil, skim, and reduce to simmer. Peel and seed the tomatoes. Put the seeds and juice into the lobster stock and cut the tomato into medium dice; set aside. Pick the chervil off the stems. Add the stems to the stock and coarsely chop the chervil leaves; set aside. After the stock has simmered for about 1 hour, add the heavy cream; simmer about 20 minutes more. Simmer the leeks and carrots in butter in a soup pot until they begin to get tender (about 5 minutes). Now add the tomatoes and lobster meat and simmer 2 or 3 minutes more. 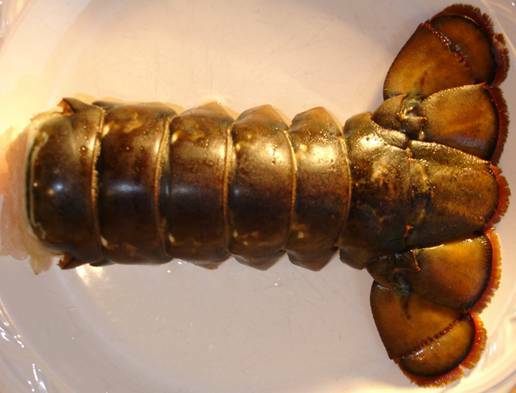 Strain the creamy lobster stock into the soup pot (you should have about 6 cups of liquid). Season to taste with salt, pepper and cayenne pepper and sprinkle with chervil. Serve with tomalley croutons.